Zach Korbel – Professional Speaker | Disability, Adaptive Sports and Advocacy! Disability, Adaptive Sports and Advocacy! Zach Korbel is a young man with Cerebral Palsy. He has been speaking professionally since 2011. His presentations cover a variety of topics – disability, adaptive sports (especially skiing!) and self-advocacy. He has spoken successfully at fundraisers for several non- profits, including Small Champions and Special Olympics. He enjoys speaking to school students to help educate them about disability, and has presented “I Love My Disability” to many students in Colorado. 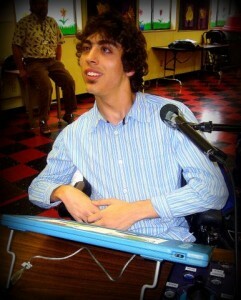 Read an article in Sneak Peak magazine about Zach’s latest presentation, “I Love My Disability!” here!